Mark Zuckerberg Is Funding The Fight To End Money Bail In The U.S.
WASHINGTON ― One of the richest men in the world is financially backing a startup nonprofit that aims to take down bail systems that keep Americans locked up because they’re poor. Civil Rights Corps has filed several suits against jurisdictions with cash bail systems, which hold people facing minor charges in jail because they lack the cash to purchase their freedom. Because they cannot afford bail, poor defendants facing low-level charges can face jail stays that upend their lives, or can be forced to pay a non-refundable fee to a for-profit bail bondsman, even though they are legally presumed innocent. Often, poor defendants will plead guilty to a crime just to get out of jail. Civil Rights Corps has had some success. In one landmark case against Harris County, Texas ― a large jurisdiction with a massive jail with a higher per capita death ratethan most other facilities in the country, according toHuffPost’s jail deaths investigation ― a federal judge issued a preliminary injunction that forced officials to release misdemeanor defendants who couldn’t afford bail within 24 hours of their arrest. Harris County officials and the bail industry are fighting that ruling, and they squared off with Civil Rights Corps attorneys before a panel of 5th U.S. Circuit Court of Appeals judgesin New Orleans last week. Alec Karakatsanis, the founder and executive director of Civil Rights Corps, called the Chan Zuckerberg Initiative’s support “enormously exciting” for his organization. Karakatsanis declined to comment on how much the Chan Zuckerberg Initiative has donated, but the Chan Zuckerberg Initiative told HuffPost that Civil Rights Corps and two other groups would receive a combined $2.3 million over the next year. Karakatsanis said the Chan Zuckerberg Initiative’s donation made the organization one of Civil Rights Corps’ biggest donors. Alec Karakatsanis, the founder and executive director of Civil Rights Corps, outside the 5th U.S. Circuit Court of Appeals last week. 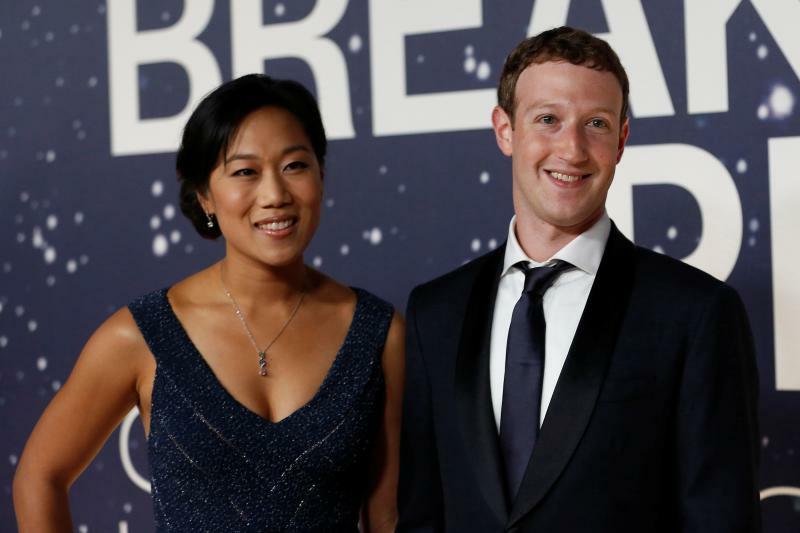 Chan and Zuckerberg announced the creation of the Initiative in December 2015 following the birth of their first child. They pledged to give away 99 percent of their Facebook shares in the course of their lifetime. The Chan Zuckerberg Initiative was expected to be worth around $3 billion by 2018. The Facebook post announcing the Chan Zuckerberg Initiative’s support for Civil Rights Corps also revealed the group’s support forACUF Center for Criminal Justice Reform― a conservative-oriented organization that backs changes to the criminal justice system ― as well asFair and Just Prosecution, an organization that helps “reform-minded” prosecutors. “At the Chan Zuckerberg Initiative, we’re proud to support groups like Civil Rights Corps who are fighting for a better criminal justice system that advances human potential and promotes equal opportunity,” the Chan Zuckerberg Initiativewrotein a Facebook post Monday. “Our work is just getting started, but we’re proud to partner with and continue to learn from such an effective group of leaders as they bring about a better, fairer, and more just system,” the Initiative wrote. The Chan Zuckerberg Initiative’s post highlighted the story of Maranda O’Donnell, the named plaintiff in Civil Rights Corps’ suit against Harris County. In May 2016, O’Donnell, a young mother, was on her way to pick up her daughter when she was arrested for driving on an invalid license. Unable to afford her $2,500 bail, she was forced to spend several days in jail. The Chan Zuckerberg Initiative’s donation to Civil Rights Corps indicates that the Initiative is taking what might be considered a more aggressive approach to criminal justice reform, compared to other philanthropic groups whose methods have been more collaborative. The John D. and Catherine T. MacArthur Foundation, for example, is spending over $100 million on the Safety and Justice Challenge, whichpartneredwith local jurisdictions toreduce incarceration. Last week, they announced that eight jurisdictions had received $11.3 million in additional funding. The MacArthur Foundation’s goal was to have jurisdictions that received funding reduce their jail populations by 18 to 30 percent. Laurie Garduque, director for Justice Reform at the MacArthur Foundation, said that some of the jurisdictions they’ve worked with through the Safety and Justice Challenge have reduced their populations by about 5 percent. Garduque said that jurisdictions have used pretrial risk assessment, expanded electronic monitoring and automated court reminders to try to release more defendants without financial conditions. While the MacArthur Foundation hasn’t taken to filing lawsuits against jurisdictions, such a multi-pronged approach will likely be important to reduce jail populations across the United States. “We’re looking at system actors as being our partners, and so it is awkward to litigate at the same time that you’re trying to have them move in the direction of what you think would be a fair and effective and efficient system,” Garduque said. “So litigation isn’t an arrow in our quiver right now, which isn’t to say that we’re opposed to litigation.” But she said their work could “complement” other efforts to reduce jail populations. “Litigation and law reform often take a long time, and in the meantime there’s positive changes that can be made in reducing reliance on money bail, and so that’s where we think we can contribute,” Garduque said. She said the MacArthur Foundation’s effort could also help reduce the opposition to getting rid of money bail. Garduque said that the bail bond industry is often heavily invested in the elections of prosecutors, sheriffs and judges, and that there’s a hesitancy to make any changes when there’s not a reliable alternative to the money bail system in place. “If [the Safety and Justice Challenge] can get a running start on some of these issues, let’s just say that it makes the arguments of the bail bondsman less persuasive,” Garduque said. The bail bonds industry has brought out the legal big guns to oppose Civil Rights Corps’ fight against the money bail system. Last week, Harris County wasrepresentedbefore the 5th Circuit Court of Appeals by Charles Cooper, a well-known conservative lawyer who is representing Attorney General Jeff Sessions in connection with the investigation into Russian interference in the 2016 election. The American Bail Coalition is being represented by former U.S. Solicitor General Paul Clement in several ongoing legal battles over the future of bail. The Chan Zuckerberg Initiative’s latest announcement came on top of the $24 million the organizationsaid last monththat it would donate to several other groups over the coming year, including Families Against Mandatory Minimums, JustLeadershipUSA, FWD.us and the Alliance for Safety and Justice. A Judge Halted This ‘Unconstitutional’ Cash Bail System. The Status Quo Fought Back. 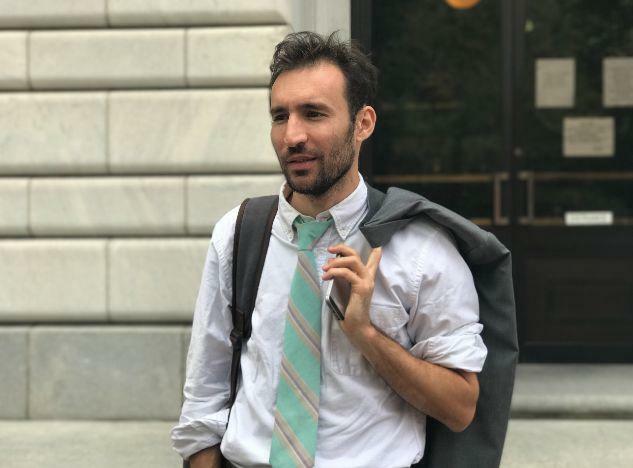 Ryan J. Reilly is HuffPost’s senior justice reporter, covering criminal justice, federal law enforcement and legal affairs. Have a tip? Reach him at ryan.reilly@huffingtonpost.com or on Signal at 202-527-9261.